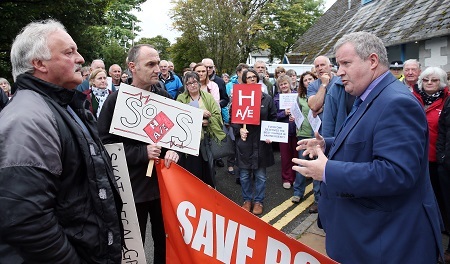 Ross, Skye and Lochaber MP Ian Blackford for found himself in the eye of the storm on Wednesday during a protest in Portree against the redesign of healthcare services in Skye, Lochalsh and South West Ross. 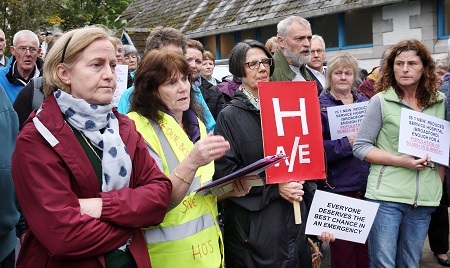 The protest took place outside Tigh na Sgire, Highland Council’s office in Portree, where Mr Blackford had been holding a surgery. The MP met with a group of more than 40 people protesting against the present provision and future plans for health care in the area. Mr Blackford countered by stating that as a member of the Westminster Parliament he had “no direct responsibility for NHS Highland”, and that the matter was the responsibility of the Scottish Parliament and the Scottish Government. However, he added that he was “not walking away” from the issue. 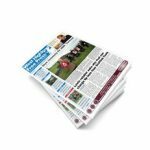 Mr Blackford said he had met with NHS Highland chair David Alston three weeks ago and addressed the issue. He said: “I told him that the perception of the people on this island is that accident and emergency has been in Portree.” He went on to say that NHS Highland argued that “it wasn’t accident and emergency but minor injuries”. Although Mr Blackford — who leads the SNP at Westminster — spent around 30 minutes engaging with those protesting, and while health is a devolved issue, it is debatable whether his answers will have done much to assuage the anger of those present. 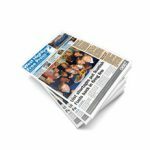 In a statement issued in response to the protests, NHS Highland said: “NHS Highland’s chief executive and chair are meeting with the Cabinet Secretary, the leader of the Highland Council and a local elected representative today (Thursday 21st September) to discuss the redesign. “Naturally, we are very concerned about the ongoing opposition from some people but we have to put in place sustainable services and that is the point of the redesign. In the new arrangements, the vast majority of services will remain in Portree and there will be improved community services, and transport options are being explored.